New York (CNN Business) The maker of Miller Lite and Coors Light doesn’t see the funny side of Bud Light’s corn syrup Super Bowl ads. Bud Light’s ads during Super Bowl LIII touted the fact that the beer is sweetened with rice rather than corn syrup. And they took jabs at its competitors. 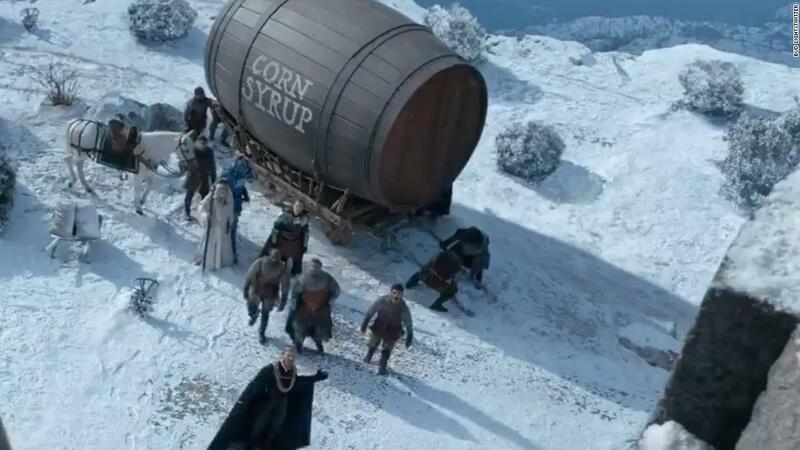 In the first ad, the Bud Light King, Bud Knight and others are trying to figure out what to do with a corn syrup barrel that was delivered to them by mistake. They set out to the Miller Lite castle to see if the barrel belongs there, but the castle had already received its delivery of corn syrup. Finally, they make it to the Coors Light castle whose occupants have been looking for their corn syrup barrel. MillerCoors said it never uses high fructose corn syrup, which it says is different from corn syrup. But it alleged that Anheuser-Busch uses high fructose corn syrup in some of its drinks such as Rita’s Berry-A-Rita. The American Heart Association recommends that people limit the amount of sugar and added sugar, such as high fructose corn syrup and honey, that they consume because too much of it can lead to obesity, heart disease and diabetes. MillerCoors is seeking court orders barring Anheuser-Busch from disseminating the commercials and requiring it to run new advertising to correct “false and misleading impressions created among consumers by the false claims contained in the campaign.” It’s also seeking damages and costs. Anheuser-Busch said in a statement that it stands by the Bud Light ad campaign. “MillerCoors’ lawsuit is baseless and will not deter Bud Light from providing consumers with the transparency they demand,” said Anheuser-Busch. Anheuser-Busch said at the time that it planned to meet with the association.